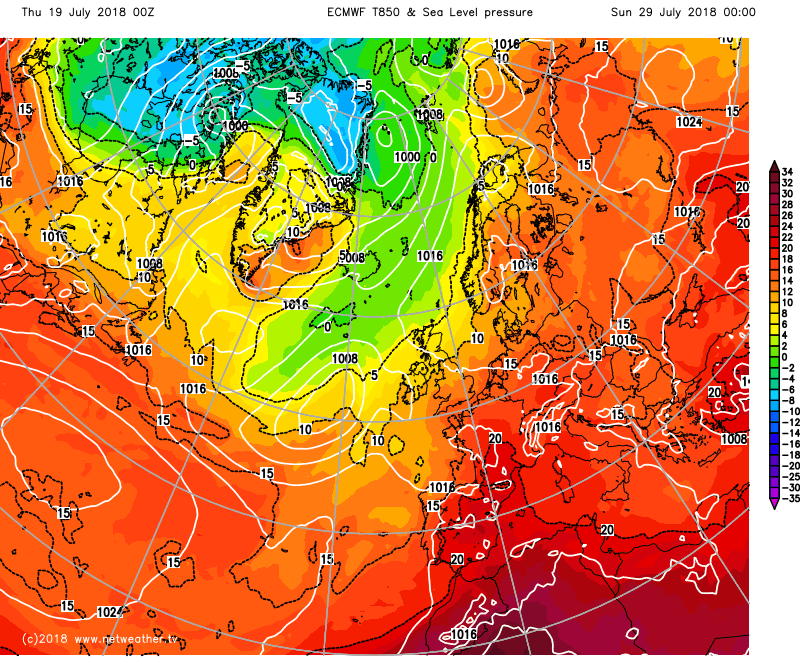 Please continue with the model discussion here, as we perhaps head towards the hottest spell of what has already been a rare, very dry, very warm summer? 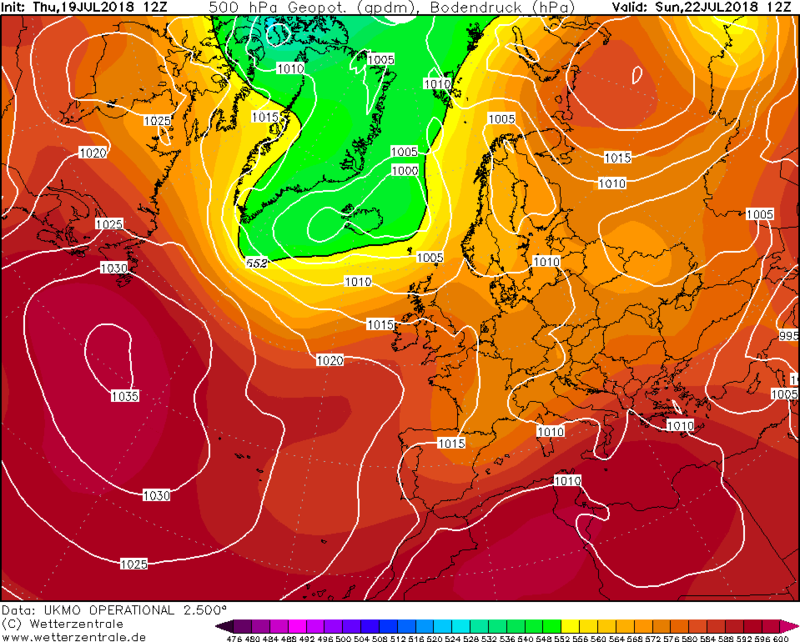 Wonder if the GFS 12z will produce a run like yesterday, considering the last couple of op runs have been at the cooler end of the ensembles. To me, we're on course for another hot spell, well, at least most of england and wales is. 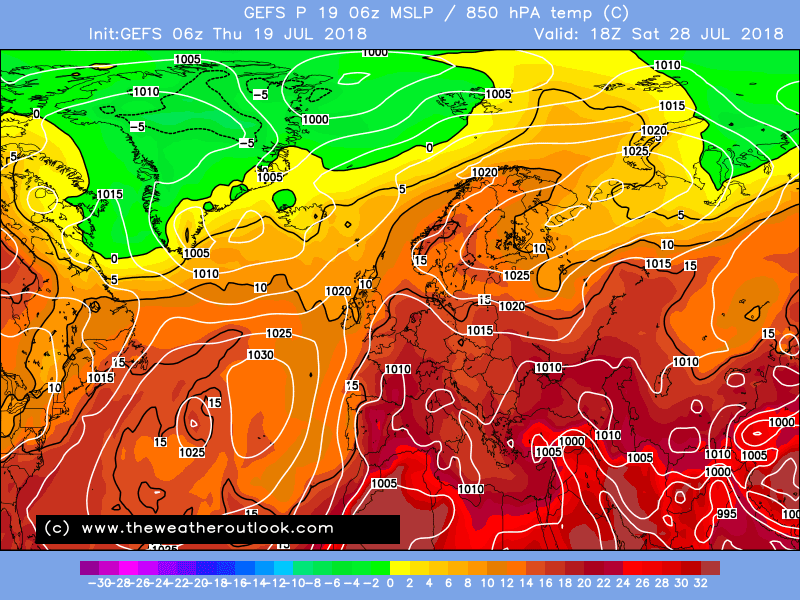 Once again so far today there's lots of supporting evidence to back my thoughts up, these Ecm 00z charts for example. 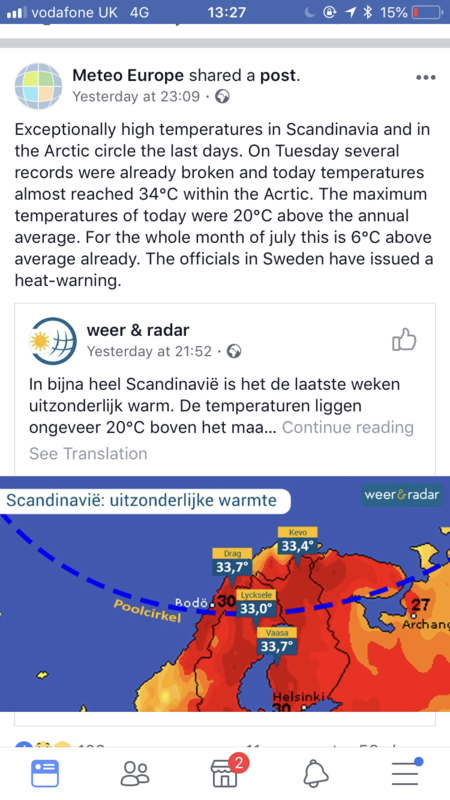 Edited July 19, 2018 by Frosty. 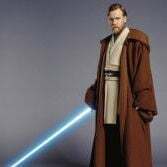 Can we please avoid quoting posts with dozens of charts? 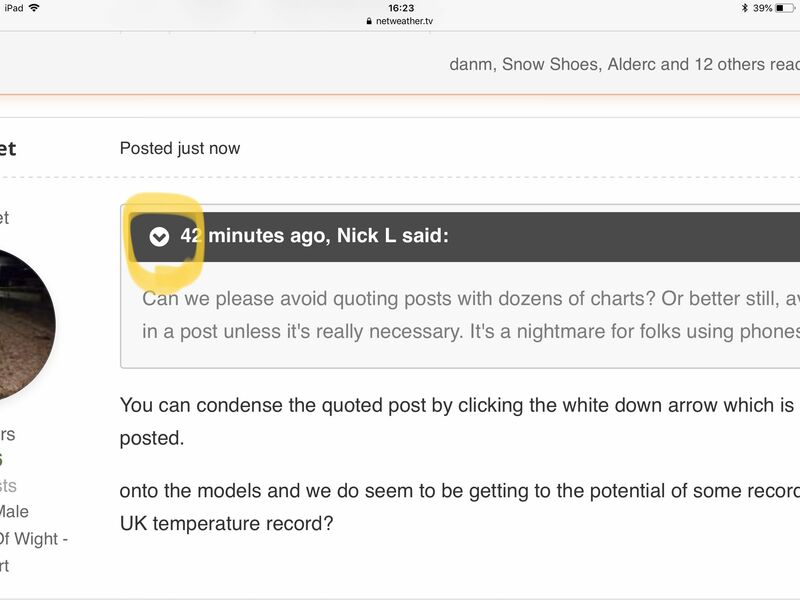 Or better still, avoid posting dozens of charts in a post unless it's really necessary. It's a nightmare for folks using phones to browse the forum.  You can condense the quoted post by clicking the white down arrow which is next to the time the post was posted. 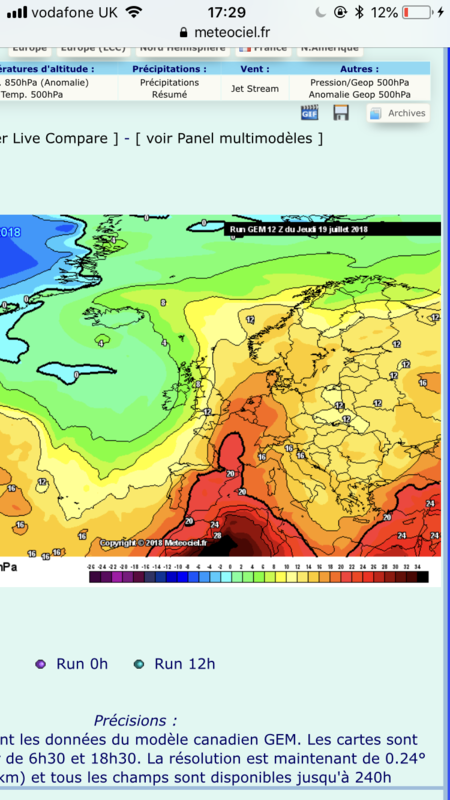 onto the models and we do seem to be getting to the potential of some record breaking weather, will we hit the UK temperature record? 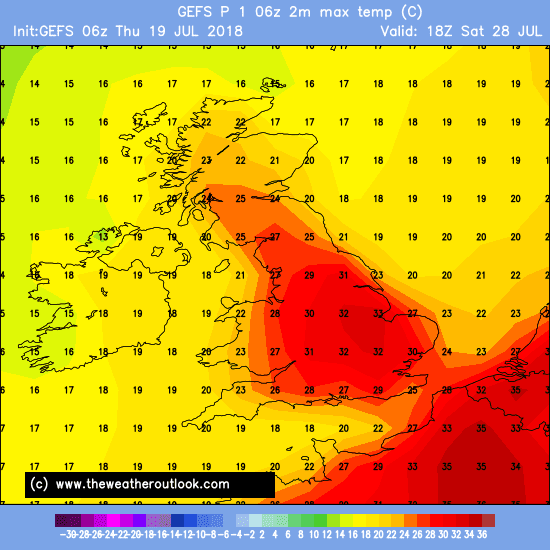 for longevity this seems to be the summer that keeps giving -I think someone called it the goldilocks summer not too hot ,not too cold- I can't see anything in the current outlook to suggest 37+ ,very high temps have often been shown in low res but nearer the time we get high temps but not exceptionally so this weekend a case in point. 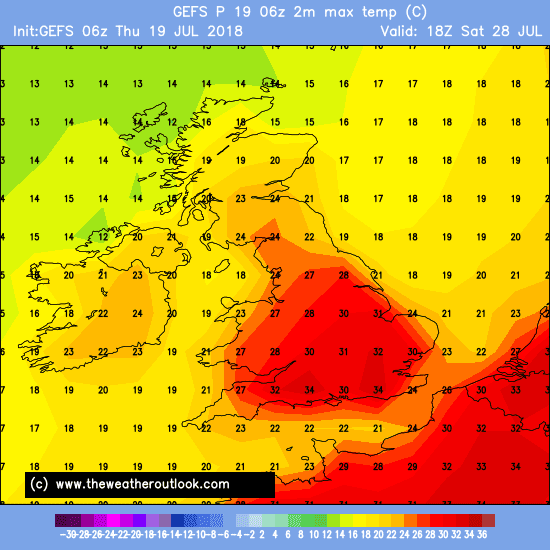 could be 30c by weds next week!!!! As for records not being broken. Just like it was 35 degrees for this Sunday! 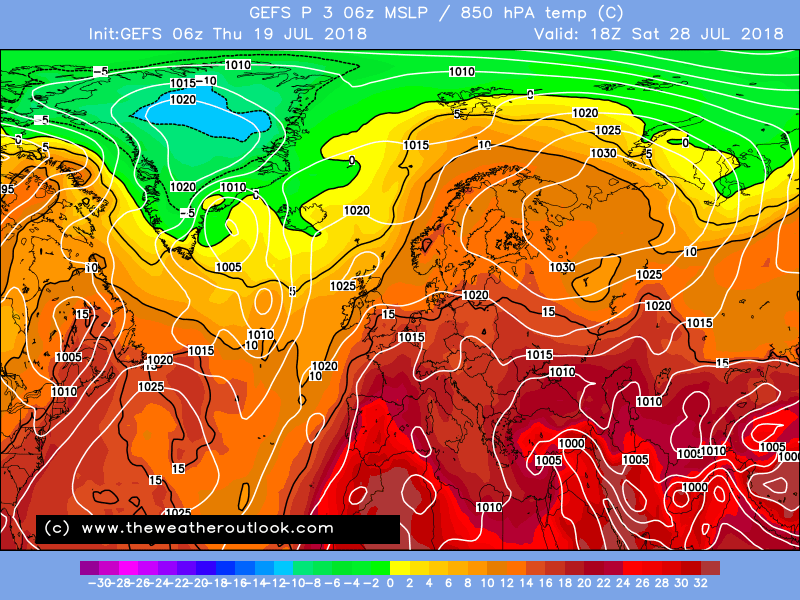 30c probably possible on most days next week but a big question mark regarding where the cold front will sit and as such how far cooler atlantic air could reach across the UK. Central/SE England look good for very warm or hot conditions throughout the period. I think 30c could be reached over the weekend, a light north to north west wind isn't really an issue as we saw similar a couple of weeks ago, just a question of cloud amounts from the front sinking south tomorrow and any low level cloud that drifts in from the west on Sunday. 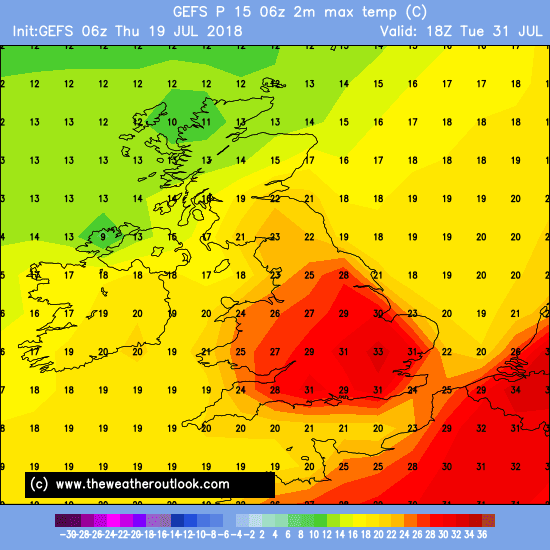 Nights looks like they will become more humid again. Still struggling to pin down how far east and how strong a small low on the decaying frontal boundary will track across southern parts during Friday night and into Saturday morning. The 06z high-res model runs were suddenly quite a bit east and stronger, but the 12z runs to have rolled out so far have adjusted back west and weaker. 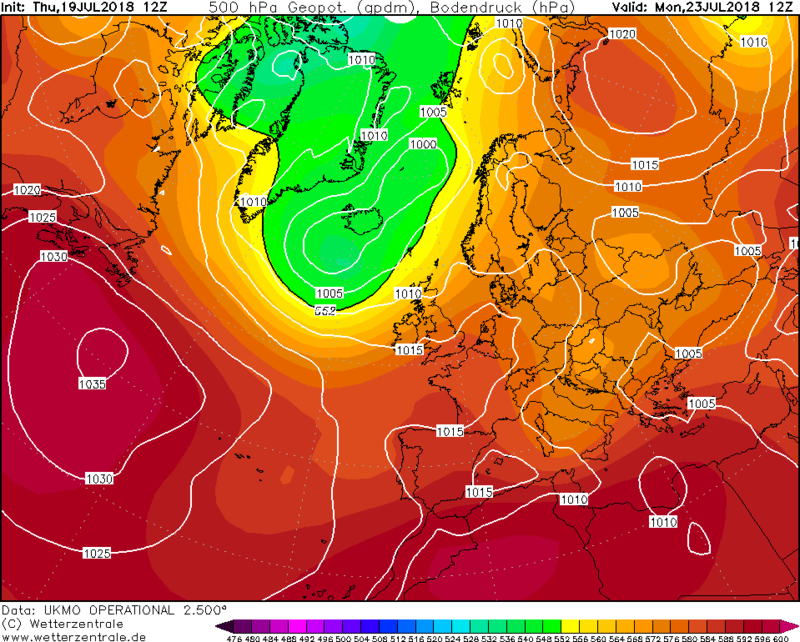 Even so, still a chance that some parts of CS and SE England will see a total of 1+ mm here for the first time since the final day of May. 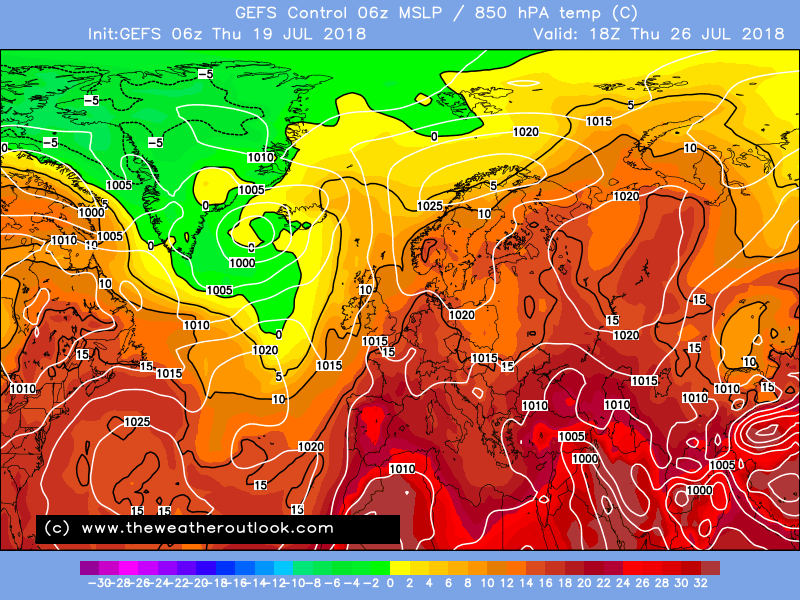 For Wednesday, the jet angle on the eastern flank of the broad trough has adjusted closer to S-N as opposed to SW-NE. 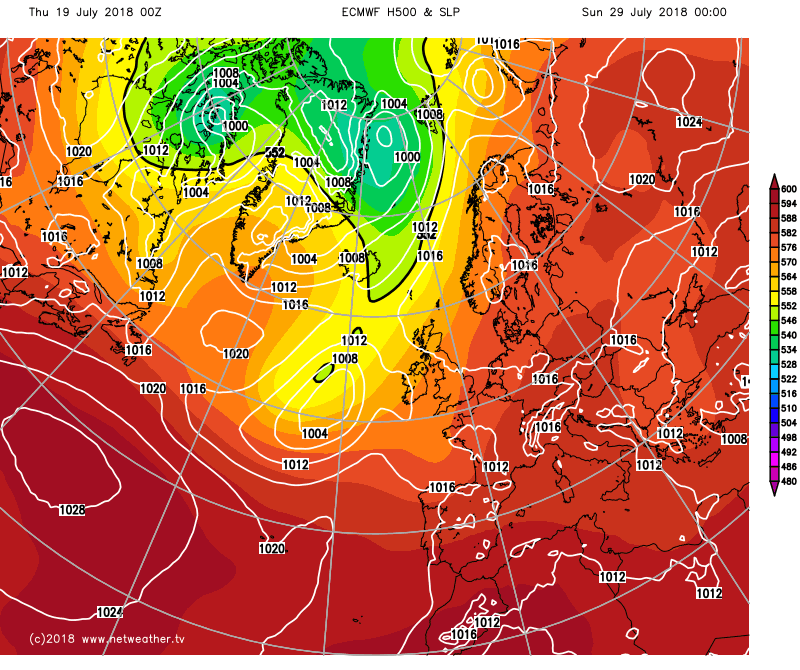 This is a signature of blocking high pressure having being underestimated, so a trend to watch out for any continuation of during the next few days. 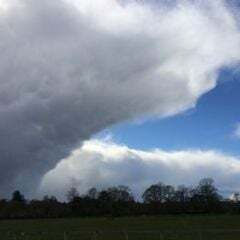 UKMO is very similar with the eastern flank of the trough on this date, so the jet pattern is likely along the same lines. The 00z may actually have slightly more of a S-N orientation than the 12z, but without actual jet stream charts from that model publicly accessible, I can't say for sure. 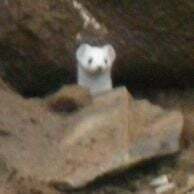 A trivial detail anyway! No surprise given the earlier adjustment to see a more blocked-looking shape to the pattern emerge over the following couple of days in the GFS 12z (right) compared to 06z (left). 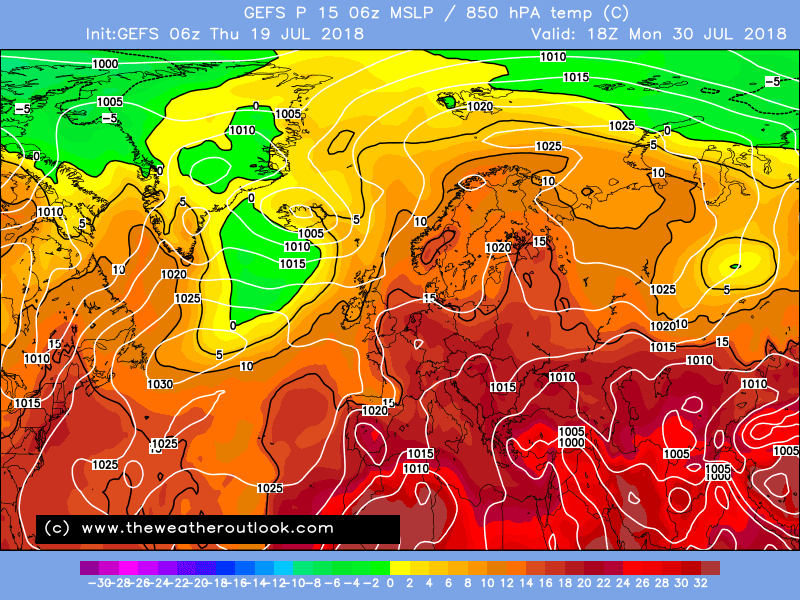 This looks poised to say the least, with no easy route for that Iberian low to take N (though knowing the model's traits, this may not stop GFS trying very hard...!). 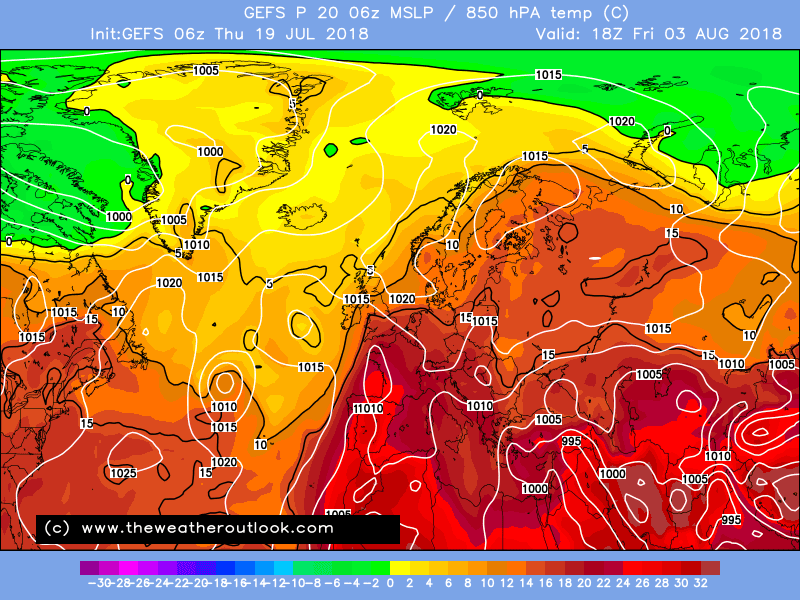 The GFS 12z just seems to be a mess, although it becomes hot. 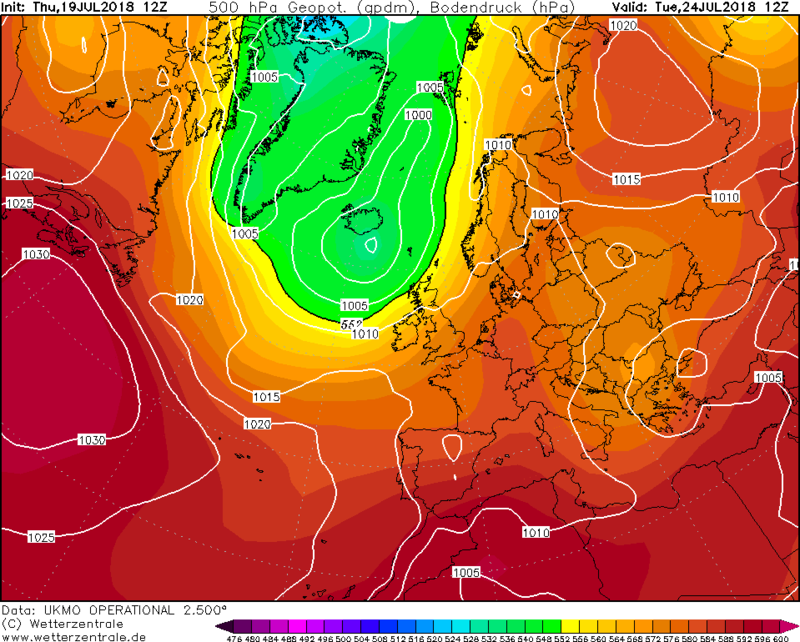 Weakness over S. Norway opened the door to a quick removal of the hottest air - much like how some of the potential bitter easterlies get taken apart in the winter months! 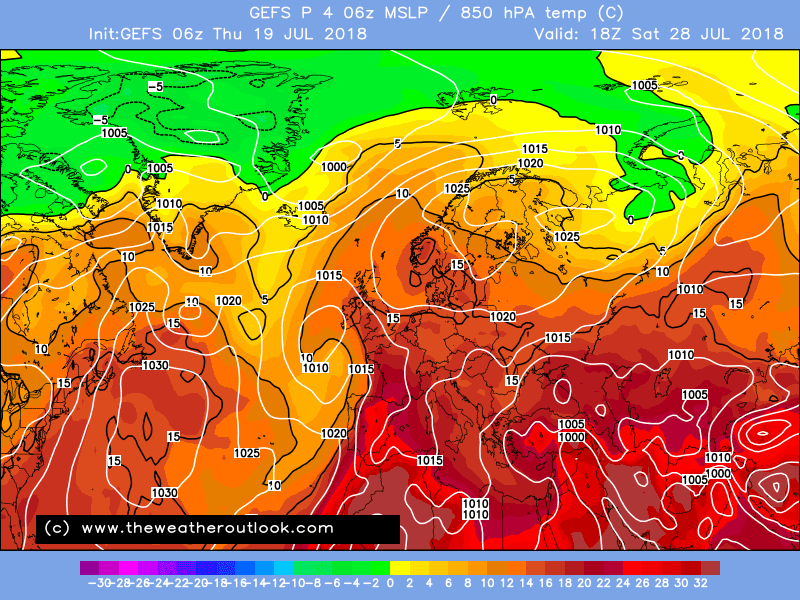 I sense we're a long way from the true solution yet though; more sharpening of the trough (i.e. adjustment to a S-N jet angle on eastern flank) and perhaps backing west of the trough as a whole seem a real possibility as the true tropical 'state of affairs' continues to feed into the models. 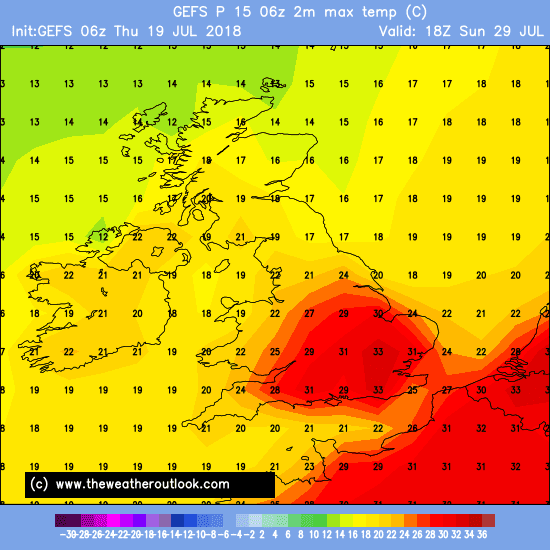 Like MWB and BA, I am starting to wonder if we might see a more gradual build to the hottest weather with a more anticyclonic situation by Friday than recent modelling has favoured, that keeping the hottest air from making a direct run at us so soon. It's not uncommon for GFS to spend a few runs jumping the gun a bit with setting up a major trough v. blocking high battle with big plume potential. 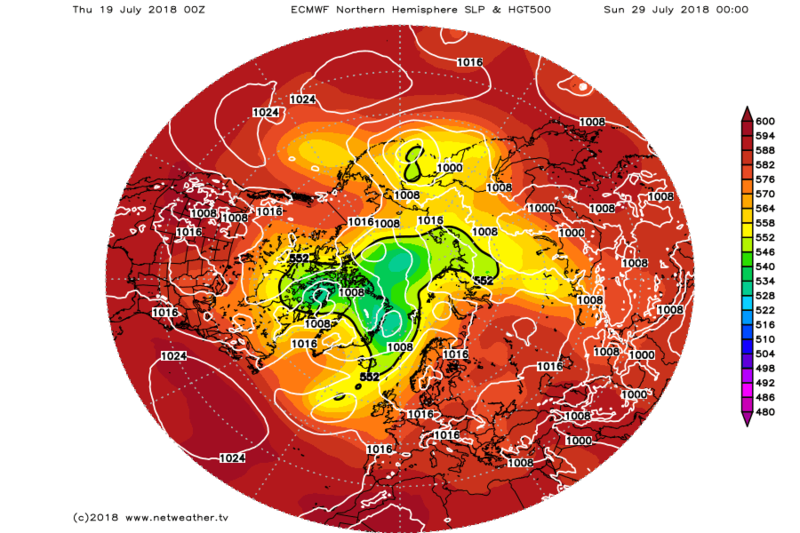 I believe ECM has been trying to show us the more anticyclonic pathway what with the Atlantic trough taking until day 10+ to have much of a go at attacking the hot airmass, but the 00z just couldn't seem to decide where exactly to organise the Atlantic trough, choosing instead to show a vague mess with countless small disturbances interfering with the high pressure development. For me, it's fascinating to watch the models try and figure out this whole new pattern development while the driving forces behind that are constantly having to be corrected for in the first place. Great to Steve posting in the summer months !! 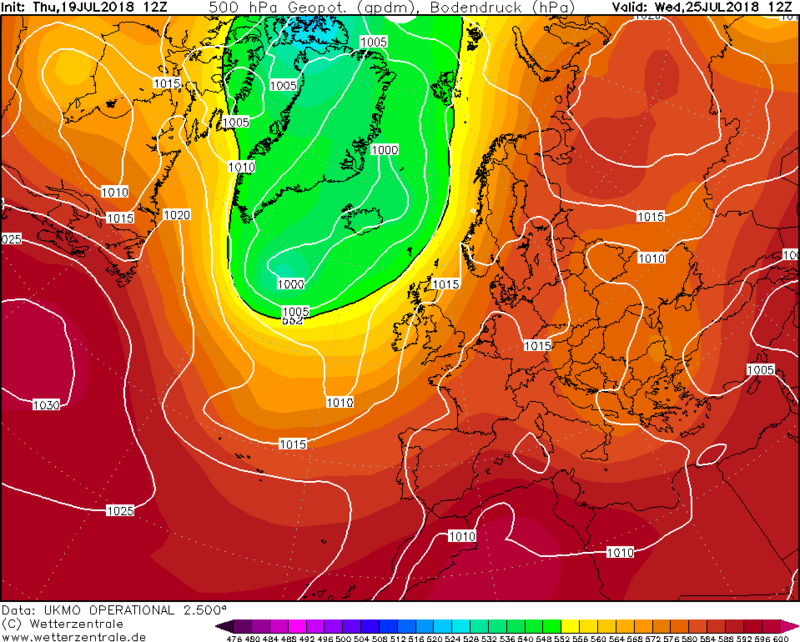 UKMET looks fab to me, note the trough to the SW at 144, this hopefully will be the trigger for the heat to build thereafter. 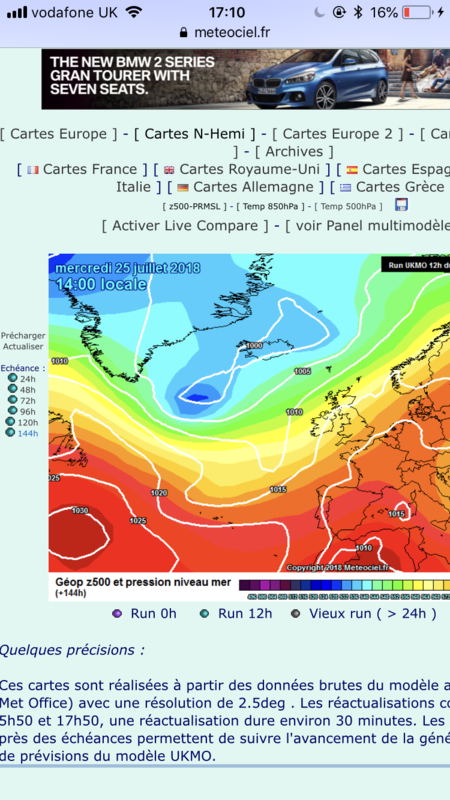 Although as others have alluded to, if it gets to far east the heat will 'leak' eastwards and central Europe will roast.. Agreed, always enjoy Steve's posts. 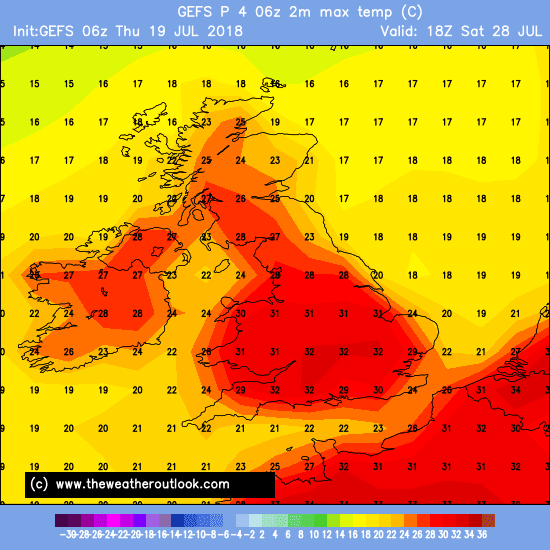 Delivering extreme heat to the UK is a precarious business, just like extreme cold in winter. 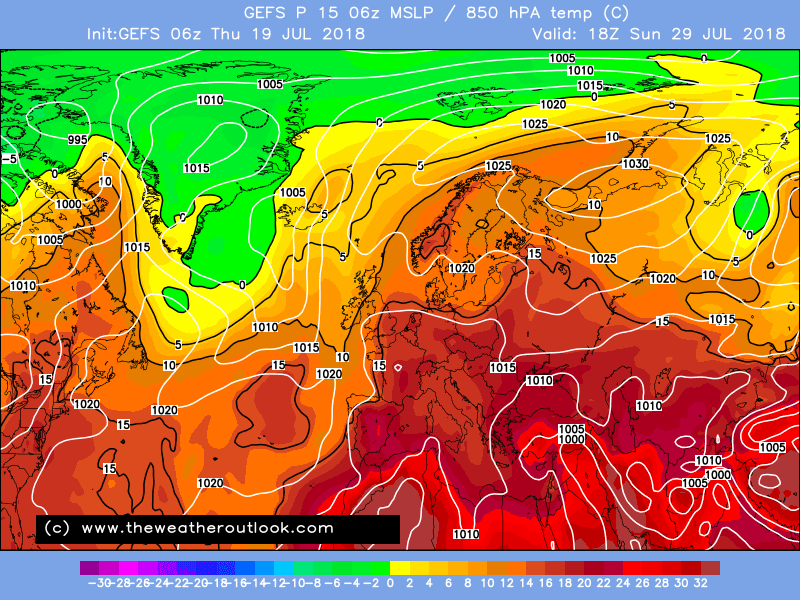 I think the form horse though is for the Scandi block to move more towards the UK and for the trough to back west.